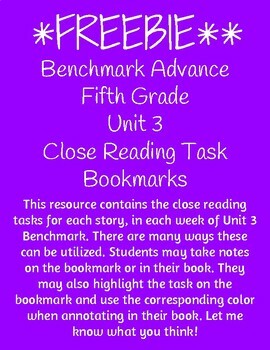 This resource contains the close reading tasks for each story, in each week of Unit 3 Benchmark. 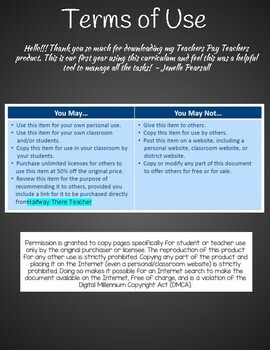 There are many ways these can be utilized. 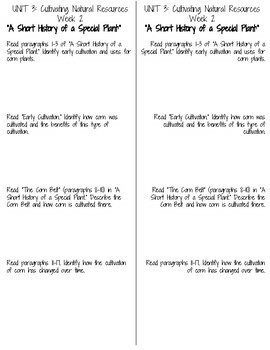 Students may take notes on the bookmark or in their book. 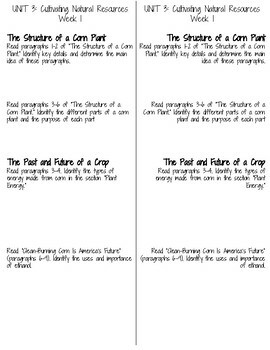 They may also highlight the task on the bookmark and use the corresponding color when annotating in their book. Let me know what you think! Please leave me some feedback! If we find them useful, then I can make more! !